Lars Behrenroth – born in Germany, relocated to Los Angeles in 2004 – DJ since 1986, remixer & producer since 1997, radio host since 1996, and label owner since 2008.Lars has moved and grooved crowds in clubs all over the world such as DEEP (LA), Distillery (Leipzig, Germany), Motorlounge (Detroit), Queens (Paris, France), House 22 (Pretoria, South Africa) and many more. In 2012 his highly acclaimed and respected weekly two hour radio show, “Deeper Shades of House” is celebrating its 10 year anniversary. The program is a weekly showcase of Lars’ versatile but very selective musical range. The way he programs his sets and puts the songs together make stand him apart from the rest.Lars has developed his production skills over the past 15 years to the point where he has accumulated an impressive discography over a variety of labels including Freerange, Compost, Sonar Kollektiv, Liebe*Detail etc. 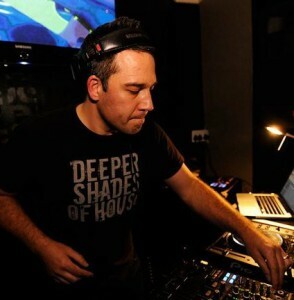 He has remixed artists such as Atjazz, The Rurals, Liquideep, Dubtribe, MJ Cole, Arnold Jarvis, Beyonce, Sven Weisemann, Tamara Wellons, Black Coffee, among others.The next logical job title was label owner when Lars founded Deeper Shades Recordings in 2008. The formerly digital only label is now home to 28 releases by many new and upcoming artists as well as established names within the Deep House industry and is releasing its first vinyl this year.